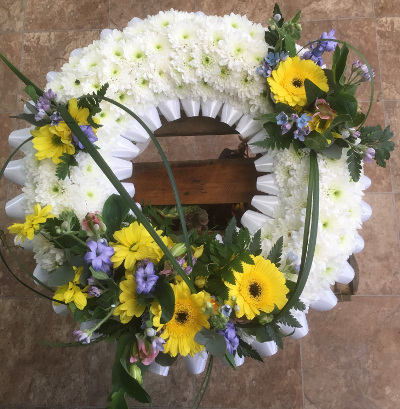 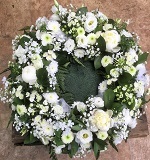 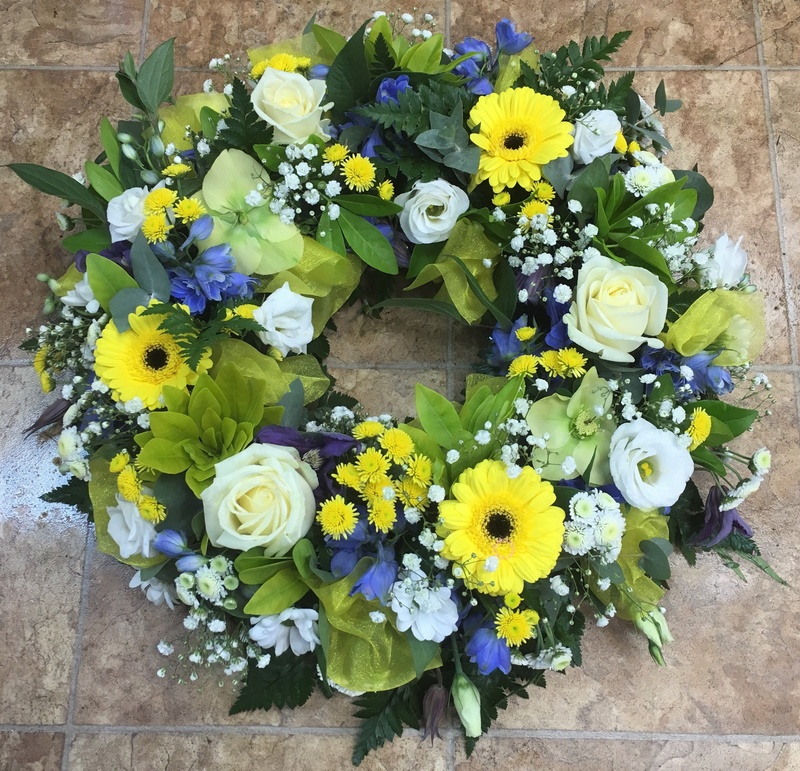 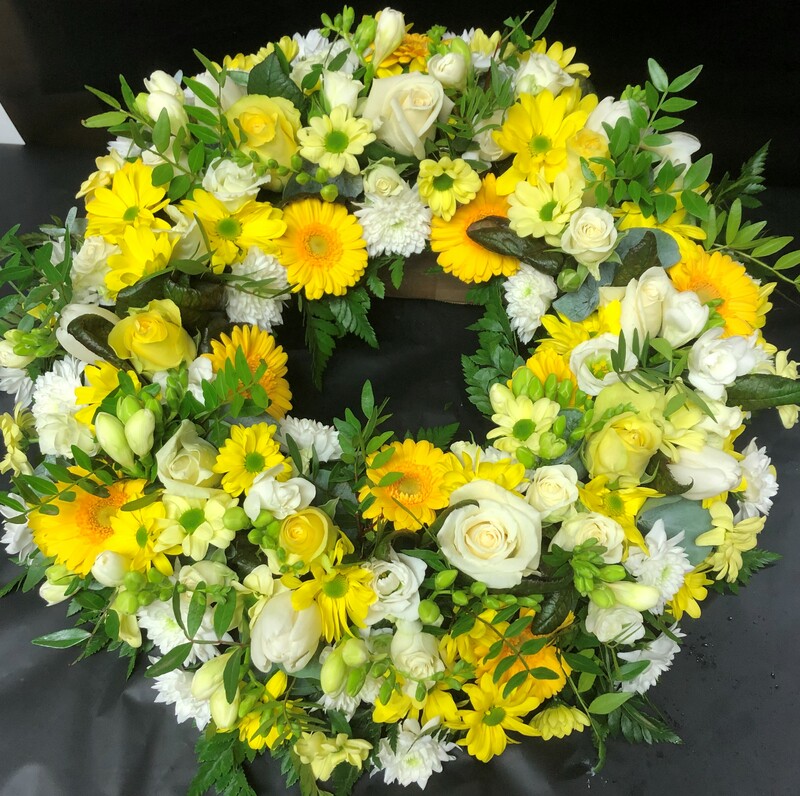 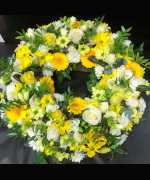 Wreaths come in a variety of designs and bring a special meaning to the service. 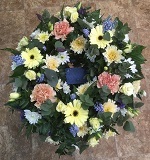 The circular shape of the wreath is the symbol for eternal life. 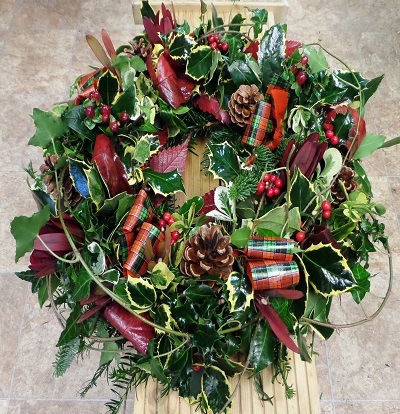 A solid based wreath with complementing spray. 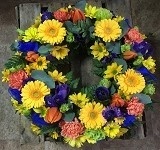 Please state your preferred colour . 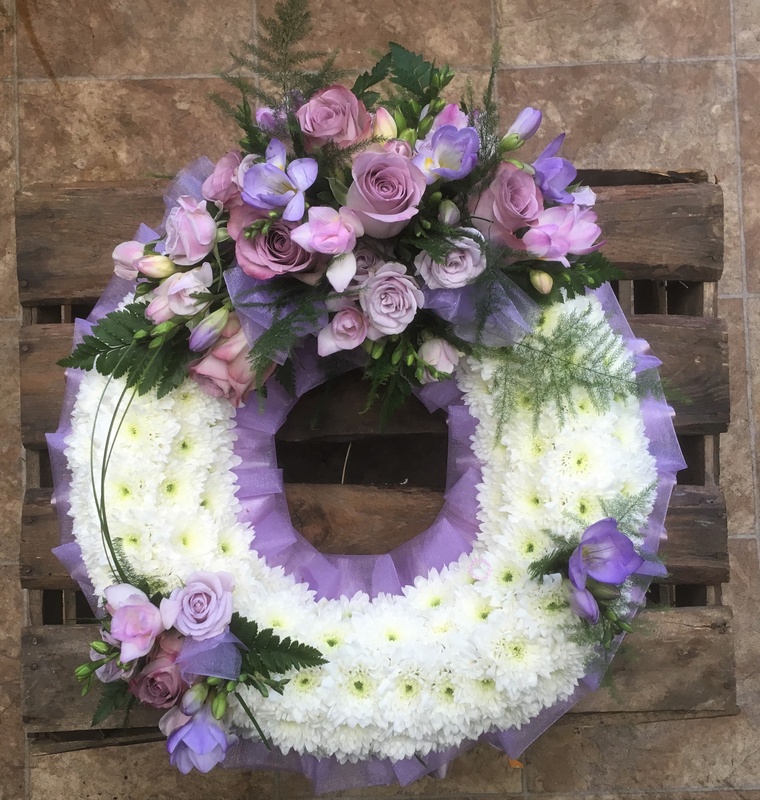 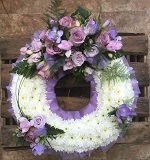 A white based wreath with a delicate lilac spray. 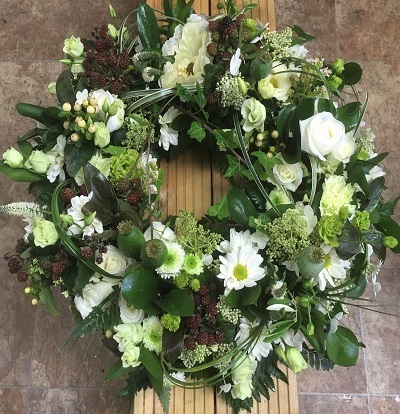 A mixed foliage loose wreath with seasonal white and green flowers to complement. 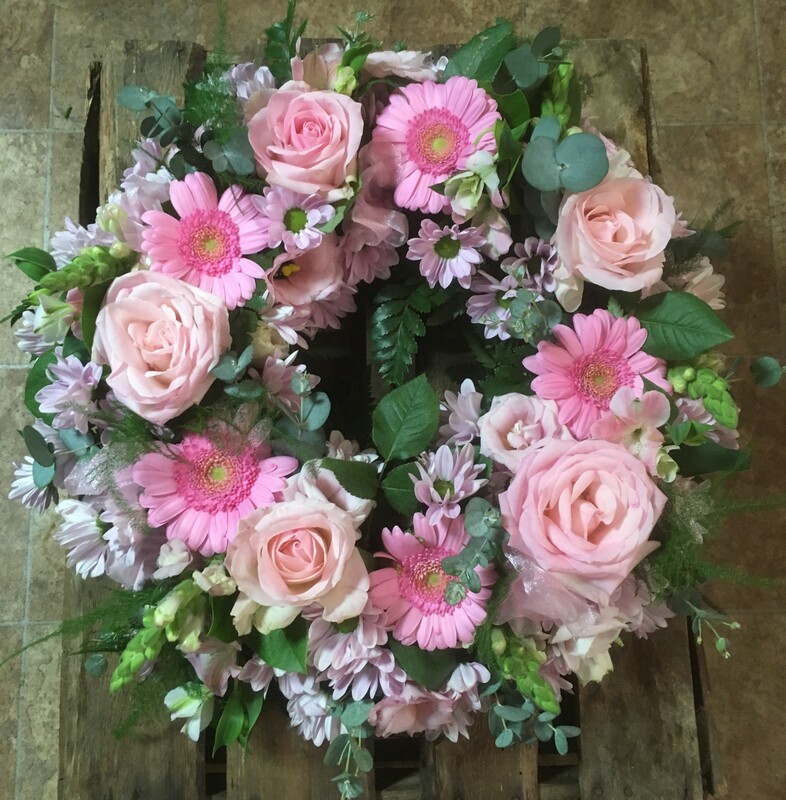 A selection of delicate seasonal flowers in pink and lilac shades. 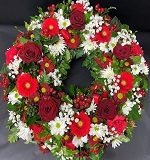 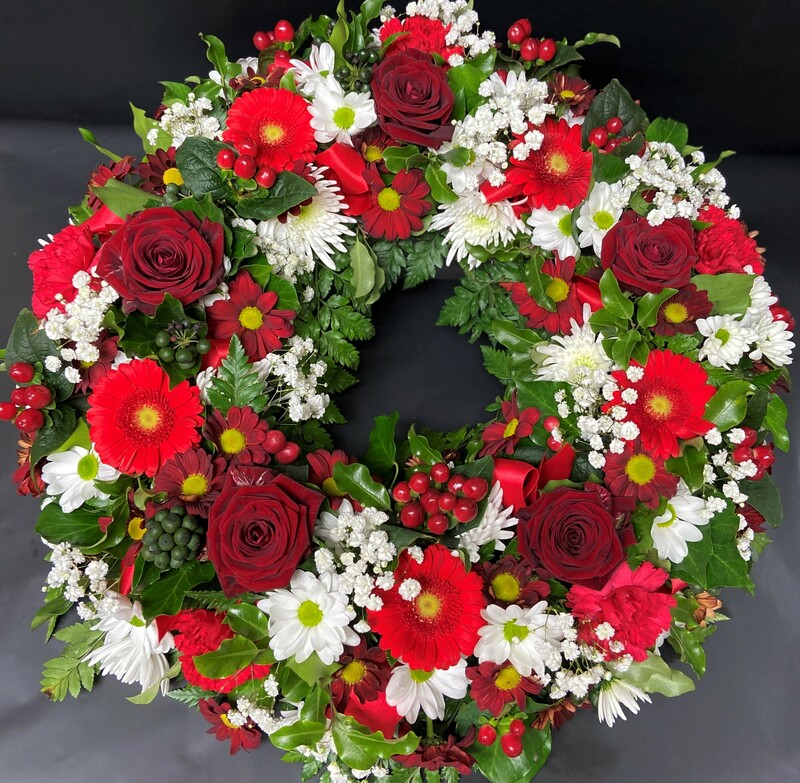 A grouped wreath of seasonal red and white flowers. 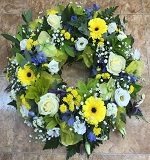 A selection of seasonal flowers in blues, yellow and cream shades. 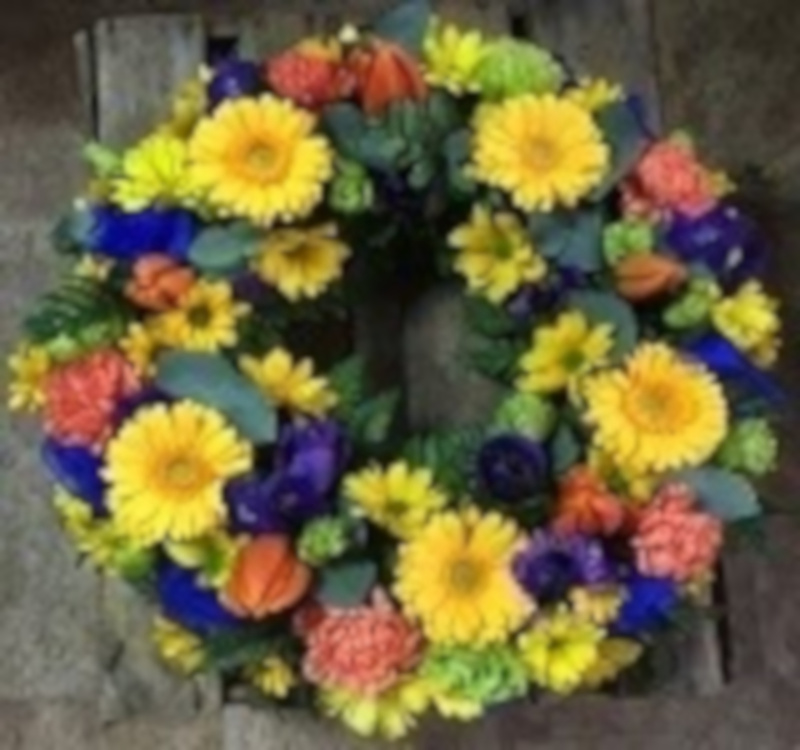 A selection of vibrant coloured mixed seasonal flowers. 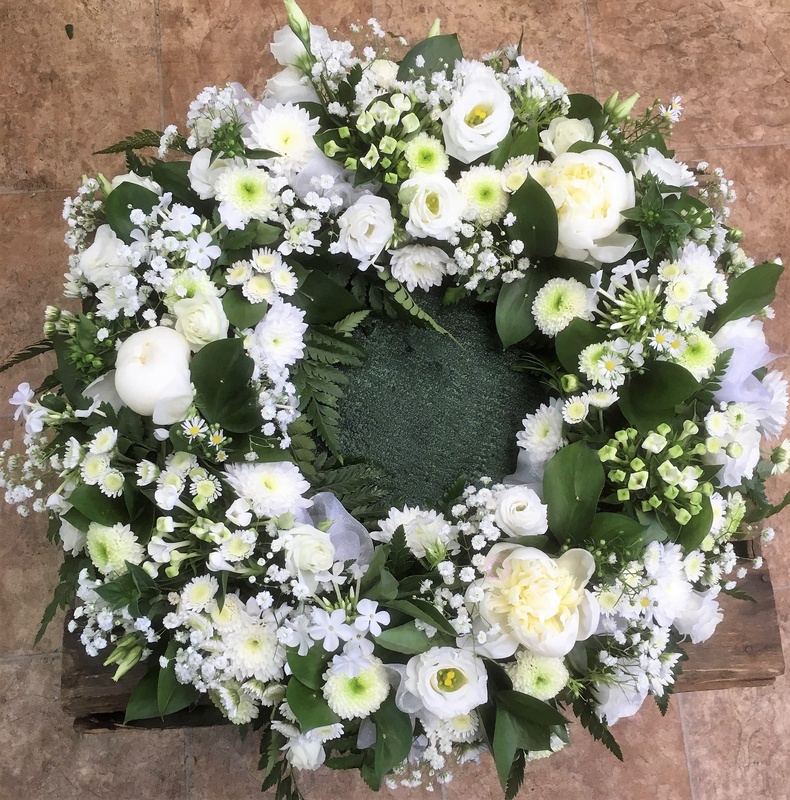 A seasonal selection of mixed white flowers. A selection of seasonal flowers in yellows, creams and white. 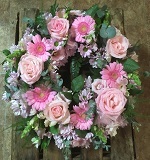 A mix of seasonal pastel shades. 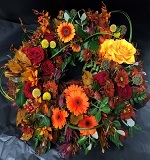 A mixed flower seasonal wreath in glorious autumn shades. 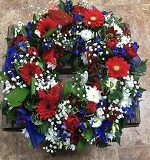 Various seasonal flowers in shades of red, white and blue. A seasonal mix of foliages, moss, twigs and ivy, berries, cones and holly. Can be made all year round.